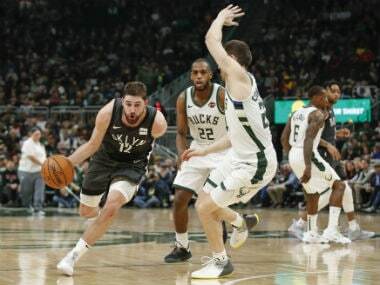 Los Angeles: Kawhi Leonard and Pascal Siakam scored 30 points each as the Toronto Raptors used a balanced attack to outduel the Milwaukee Bucks 123-116 in a battle of the top two NBA teams. 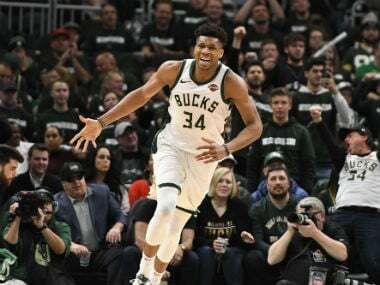 But he got plenty of help from a strong supporting cast as Toronto seized command in the second and third quarters and then survived a Milwaukee rally in the fourth. 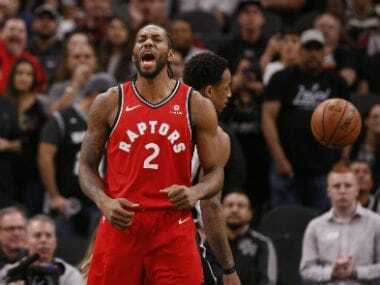 "We thought we didn't play great defence last game so we wanted to come out aggressive and pass the ball and get some more open shots and it fell in for us tonight," Leonard said. The Raptors salted the game away with a 15-2 fourth-quarter surge which was highlighted by a three-pointer from Siakam that gave them a 110-98 lead with just over five minutes to play. "We came out tonight with a pass-first mindset and to take open shots. It worked out, all of us had 20 plus," Leonard said. Trailing by as much as 13, the Bucks opened the fourth quarter with a 14-4 run and led 96-95 with 8:12 left. 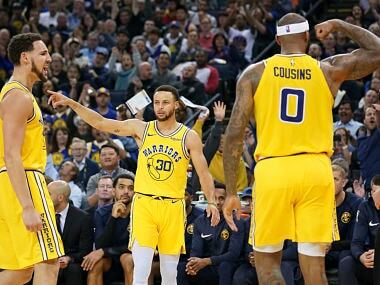 Elsewhere, Stephen Curry scored 42 points and finished with 10 three-pointers as the Golden State Warriors stormed back to the beat the Sacramento Kings 127-123. 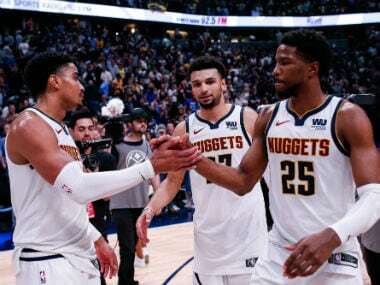 Golden State, who blew a 20-point lead and lost 135-134 in overtime to Houston on Thursday, had another big lead disappear in the third quarter Saturday but they managed to regroup and rally past the Kings in the fourth. Kevin Durant added 29 points, nine assists and five rebounds, and Klay Thompson scored 20 points to help the Warriors complete a three-game sweep of the season series. Curry scored 20 of his 42 in the final quarter and also made a pair of free throws with nine seconds to go. Buddy Hield scored 32 points on a career-high eight threes for Sacramento, who went on a 15-0 run in the first half. The Kings set a franchise record with 20 baskets from beyond the arc. In Portland, Jusuf Nurkic had 25 points and 15 rebounds, and the Portland Trail Blazers snapped James Harden's 40-point streak with a 110-101 win over the Houston Rockets. Harden finished with 38 points, falling just short of his sixth straight game with 40 or more. Portland was the last team to hold Harden under 30 points when he had 29 in Houston's 111-104 home victory on December 11. CJ McCollum added 24 points and Damian Lillard finished with 17 points and 12 rebounds for the Blazers, who have won three of their last four games. Austin Rivers scored a season-high 21 points while Clint Capela had 13 points and 21 rebounds in the loss.